Paluxy Square is a beautiful office park with five separate buildings. Current tenants contain a mix of local, state, and national tenants along with three new tenants and some long time tenants that have recently renewed and expanded their spaces. 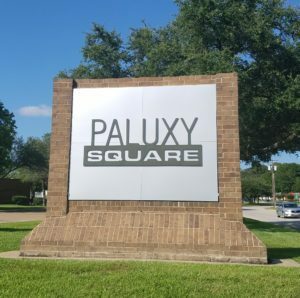 Some of the new tenants at Paluxy Square include Super Hero Kids Home Health, Primrose Health Solutions, and Star Ray Enterprises. Super Hero Kids Home Health gladly offers pediatric private duty nursing, speech therapy, physical therapy, and occupational therapy across the State of Texas to Super Hero Kids. They originally leased a 599 sf office space before renewing and expanding into a larger 1,259 sf space in less than ninety days. The Super Hero “Sidekicks” worked with Agent, Aaron Uncapher, on both leases and we’re thrilled to have them in the office park. You can learn more about the wonderful work this group is doing at https://www.superherokidshh.com/. In addition to the new tenant roster is Primrose Health Solutions, Person Centered Recovery Planning (PCRP) allowing their clients to make choices and decisions as the clients direct and create realistic goals. They are open Monday through Friday, 8:00 a.m. to 5:00 p.m. and Saturday and Sunday by appointment. For additional information, visit their website at https://primrosehealth.solutions/. Are you looking for space for your new business or have you outgrown your current space? The lease rates at Paluxy Square are very competitive and the property management is top notch. Contact Aaron Uncapher and let him show you what all the buzz is about and you can see Paluxy Sqare from a different point of view here http://looplink.burns-commercial.com/xNet/Looplink/TmplEngine/ListingProfilePage.aspx?stid=burnscommprop&LID=9204957&LL=true&UOMListing=&UOMMoneyCurrency=&RentPer=PY&SRID=0&IP=false .